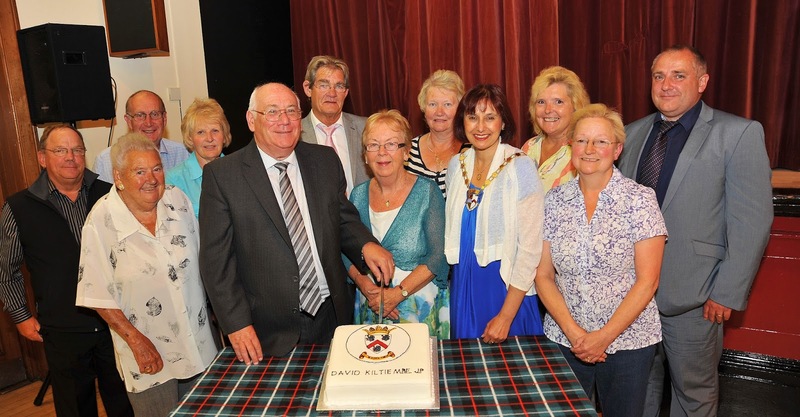 South Ayrshire Provost Helen Moonie hosted a special celebration in Maybole to mark the occasion of David Kiltie retiring from the Community Council. 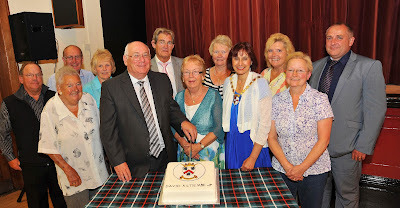 Helen Moonie said: “David Kiltie has made an immense contribution to the town of Maybole and to its community. Born and educated in Maybole, he has used all his talents and lifeskills to improve the lives of others by serving on a wide range of committees and working groups. “Many people will remember David for the work he did with MayTag through the 1980s and the 1990s where he worked tirelessly to help deliver training and work initiatives to help people find employment, and moving with the times went on to help set up their very successful website. David has been nvolved in so many projects - Maybole and District Business Association, Carrick Community Transport, Maybole’s annual town gala and Maybole Town Twinning Association. 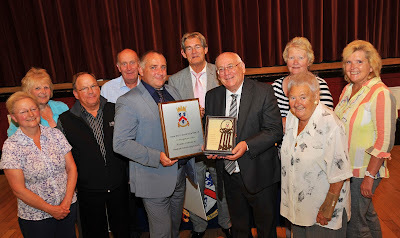 The Community Council paid tribute to David Kiltie and presented him with a plaque and a gift, Mark Fletcher Chairman of the Maybole Community Council said: “David will be a big loss to the Community Council, but it is reassuring to know that his help and expertise is only a telephone call away. 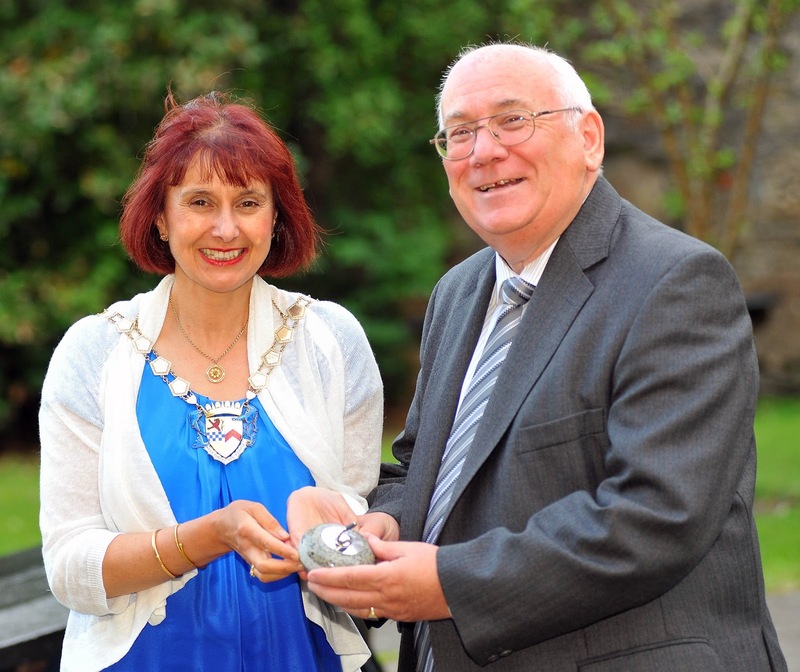 His are big shoes to fill as he has done so much for the town as highlighted by the Provost and is affectionately known as Mr Maybole. Following the presentations David Kiltie said: “Thanks to Provost Moonie and South Ayrshire Council for the lovely gift and for arranging the evening. “I would like to thank everyone who has been a member of the community council, Provosts, Councillors, Council Officers, MPs, MSPS and members of the community who I have worked with over many years. And a big thank you to my wife Margaret and our family for their support.